Be Prepared Investigative Services and Survival Supplies LLC, will not be held responsible for any injury resulting in misuse or use of any and all items sold. It is the customer’s responsibility to ensure there are no food allergies to any of the emergency food products. In a disaster or emergency situation, Be Prepared Survival Supplies (BPSS) will not be held responsible for any injury or death as a result of uncontrollable circumstances. Errors and omissions: Be Prepared Investigative Services (BPIS) (dba: Be Prepared Investigative Services and Survival Supplies LLC) or Be Prepared Survival Supplies (BPSS) (dba: Be Prepared Investigative and Survival Supplies LLC) makes every attempt to make sure company information or products are legally acceptable. This is applicable to the goods (Emergency Preparedness Supplies) they distribute or written investigative reports they generate. This website is for illustration purposes and comes with no expressed or implied suitability. The materials and information on our website or investigative reports may contain errors including but not limiting to inaccuracies and typographical errors. BPIS or BPSS does not warrant the accuracy or completeness of the materials or the reliability of any advice, opinion, statement or other information displayed or distributed through our website. We make every good faith effort to be a good corporate citizen, and to make sure products are safe, information is generally acceptable, and written investigative reports are accurate. Any reliance on such opinion, advice, statement, memorandum or information shall be at your own risk. BPIS or BPSS reserve all rights and in our sole discretion to correct an errors or omissions in our website or other materials generated for clients at any time without any notice in advance, including any clarification stated even up until the time of testimony in a court of law. BPIS or BPSS may also make any change to our website, investigative reports, including but not the limiting to materials, product, programs, services or prices at any time without any notice in advance. BPIS investigative reports are for clients only. Further disclosure of any reports must be authorized by the person who produced it in writing. Reports can be disclosed by subpoena, written agreement, or court order. Remember disclosure of sensitive defendant or client information must comply with all Federal and State laws, including the Fair Credit Reporting Act and Gramm Leach-Bliley Act. The attorney work product doctrine is a concept within civil procedure that protects any attorney’s work product from discovery by the other litigant. Work product is defined as any tangible materials or their intangible equivalent prepared by an attorney in the anticipation and preparation for litigation. The work product doctrine is limited, and work product may be discoverable, if the other litigant demonstrates that the facts are necessary to substantiate the claim and they have no other means of obtaining such information without suffering undue hardship. There are many things that fall under the scope of the attorney work product doctrine. They could be inter-office memoranda, briefs, written notes by an attorney regarding the case, and even voice-recorded notes made in preparation of the case. The protection under the work product doctrine also extends to paralegals, secretaries, and other non-attorney parties who are acting within the control of the attorney handling the case. As long as the information was recorded with the reasonable intent of preparing for the litigation, it applies. There is also the question as to what “in anticipation and preparation for litigation” actually means. In the context of the attorney work product doctrine, the phrase typically refers to any point at which there is a reasonable expectation of a claim to be filed. This is entirely context dependent and will vary from situation to situation. In a personal injury case, for instance, it could attach at the exact moment that the injury occurs. Any delinquent accounts that go beyond 30 days after the initial invoice is sent by BPIS, either by email, mail, fax, or hand delivered, may be turned over to a collection agency to collect delinquent fees owed to BPIS. It is up to the customer to contact BPIS to enter into any other agreement if acceptable to BPIS, in order to pay any outstanding debts owed to said company. All delinquent fees, interest, and collection fees will be passed onto the delinquent account holder or as otherwise specified by Washington State law. Protecting the privacy of consumer information held by “financial institutions” is at the heart of the financial privacy provisions of the Gramm-Leach-Bliley Financial Modernization Act of 1999. The GLB Act requires companies to give consumers privacy notices that explain the institutions’ information-sharing practices. In turn, consumers have the right to limit some – but not all – sharing of their information. Here’s a brief look at the basic financial privacy requirements of the law. The GLB Act applies to “financial institutions” – companies that offer financial products or services to individuals, like loans, financial or investment advice, or insurance. The Federal Trade Commission has authority to enforce the law with respect to “financial institutions” that are not covered by the federal banking agencies, the Securities and Exchange Commission, the Commodity Futures Trading Commission, and state insurance authorities. Among the institutions that fall under FTC jurisdiction for purposes of the GLB Act are non-bank mortgage lenders, loan brokers, some financial or investment advisers, tax preparers, providers of real estate settlement services, and debt collectors. At the same time, the FTC’s regulation applies only to companies that are “significantly engaged” in such financial activities. A company’s obligations under the GLB Act depend on whether the company has consumers or customers who obtain its services. A consumer is an individual who obtains or has obtained a financial product or service from a financial institution for personal, family or household reasons. A customer is a consumer with a continuing relationship with a financial institution. Generally, if the relationship between the financial institution and the individual is significant and/or long-term, the individual is a customer of the institution. For example, a person who gets a mortgage from a lender or hires a broker to get a personal loan is considered a customer of the lender or the broker, while a person who uses a check-cashing service is a consumer of that service. Why is the difference between consumers and customers so important? Because only customers are entitled to receive a financial institution’s privacy notice automatically. Consumers are entitled to receive a privacy notice from a financial institution only if the company shares the consumers’ information with companies not affiliated with it, with some exceptions. Customers must receive a notice every year for as long as the customer relationship lasts. The privacy notice must be given to individual customers or consumers by mail or in-person delivery; it may not, say, be posted on a wall. Reasonable ways to deliver a notice may depend on the type of business the institution is in: for example, an online lender may post its notice on its website and require online consumers to acknowledge receipt as a necessary part of a loan application. The privacy notice must be a clear, conspicuous, and accurate statement of the company’s privacy practices; it should include what information the company collects about its consumers and customers, with whom it shares the information, and how it protects or safeguards the information. The notice applies to the “nonpublic personal information” the company gathers and discloses about its consumers and customers; in practice, that may be most – or all – of the information a company has about them. For example, nonpublic personal information could be information that a consumer or customer puts on an application; information about the individual from another source, such as a credit bureau; or information about transactions between the individual and the company, such as an account balance. Indeed, even the fact that an individual is a consumer or customer of a particular financial institution is nonpublic person information. But information that the company has reason to believe is lawfully public – such as mortgage loan information in a jurisdiction where that information is publicly recorded – is not restricted by the GLB Act. Consumers and customers have the right to opt out of – or say no to – having their information shared with certain third parties. The privacy notice must explain how – and offer a reasonable way – they can do that. For example, providing a toll-free telephone number or a detachable form with a pre-printed address is a reasonable way for consumers or customers to opt out; requiring someone to write a letter as the only way to opt out is not. The privacy notice also must explain that consumers have a right to say no to the sharing of certain information – credit report or application information – with the financial institution’s affiliates. An affiliate is an entity that controls another company, is controlled by the company, or is under common control with the company. Consumers have this right under a different law, the Fair Credit Reporting Act. The GLB Act does not give consumers the right to opt out when the financial institution shares other information with its affiliates. a financial institution shares customer data with outside service providers that market the financial company’s products or services. The GLB Act puts some limits on how anyone that receives nonpublic personal information from a financial institution can use or re-disclose the information. Take the case of a lender that discloses customer information to a service provider responsible for mailing account statements, where the consumer has no right to opt out: The service provider may use the information for limited purposes – that is, for mailing account statements. It may not sell the information to other organizations or use it for marketing. However, it’s a different scenario when a company receives nonpublic personal information from a financial institution that provided an opt-out notice — and the consumer didn’t opt out. In this case, the recipient steps into the shoes of the disclosing financial institution, and may use the information for its own purposes or re-disclose it to a third party, consistent with the financial institution’s privacy notice. That is, if the privacy notice of the financial institution allows for disclosure to other unaffiliated financial institutions – like insurance providers – the recipient may re-disclose the information to an unaffiliated insurance provider. Other important provisions of the GLB Act also impact how a company conducts business. For example, financial institutions are prohibited from disclosing their customers’ account numbers to non-affiliated companies when it comes to telemarketing, direct mail marketing or other marketing through e-mail, even if the individuals have not opted out of sharing the information for marketing purposes. Another provision prohibits “pretexting” – the practice of obtaining customer information from financial institutions under false pretenses. The FTC has brought several cases against information brokers who engage in pretexting. The FTC is one of eight federal regulatory agencies that has the authority to enforce the financial privacy law, along with the state insurance authorities. The federal banking agencies, the Securities and Exchange Commission and the Commodity Futures Trading Commission have jurisdiction over banks, thrifts, credit unions, brokerage firms and commodity traders. The FTC has additional details on the GLB Act, the Commission’s Privacy Rule and a compliance guide for small business owners at www.ftc.gov/privacy. The federal Fair Credit Reporting Act (15 USC §1681 et seq.) sets a national standard that employers must follow in employment screening. Does the employee have the right to know when a background check is requested? Yes. Amendments to the FCRA, in effect September 30, 1997, increase the disclosure and consent requirements of employers who use “consumer reports.” Such reports might consist only of a credit check. More extensive reports might include criminal histories, driving records, and interviews with neighbors, friends and associates. It is important to remember, however, that even the restrictions on reporting imposed by the FCRA do not apply to jobs with an annual salary of $75,000 or more a year. (FCRA §605(b)(3). California law now requires that individuals who are subject to employment screening are able to obtain a copy of the background check whether or not an adverse action has been taken. And applicants have the same rights to notice and consent whether the employer hires an outside company to conduct the investigation or does the background check itself. (California Civil Code §1786). And now in California when an individual requests a copy of their report from the consumer reporting agency, the agency must explain their rights in a document written in both English and Spanish. The most recent change to the FCRA made criminal convictions reportable indefinitely. California still follows the seven-year rule (CA Civil Code 1786.18) as do some other states. To find the limit for reporting criminal convictions in your state, contact your state employment agency or office of consumer affairs. Arrest information: Although arrest record information is public record, in California and other states employers cannot seek from any source the arrest record of a potential employee. However, if the arrest resulted in a conviction, or if the applicant is out of jail but pending trial, that information can be used. (California Labor Code §432.7). Criminal history: In California, criminal histories or “rap sheets” compiled by law enforcement agencies are not public record. Only certain employers such as public utilities, law enforcement, security guard firms, and child care facilities have access to this information. (California Penal Code §§11105, 13300) With the advent of computerized court records and arrest information, however, there are private companies that compile virtual “rap sheets.” Employers need to use caution in checking criminal records. Information offered to the public by web-based information brokers is not always accurate or up to date. This violates both federal and California law when reported as such. Also, in California, an employer may not inquire about a marijuana conviction that is more than two years old. Workers’ compensation: In most states including California, when an employee’s claim goes through the state system or the Workers’ Compensation Appeals Board (WCAB), the case becomes public record. An employer may only use this information if an injury might interfere with one’s ability to perform required duties. Under the federal Americans with Disabilities Act, employers cannot use medical information or the fact an applicant filed a workers’ compensation claim to discriminate against applicants. (42 USC §12101). Employers may access workers’ compensation records in many states only after making an offer of employment. Although the employer may not rescind an offer due to a workers’ compensation claim, employers sometimes discover that applicants have not revealed previous employers where they had filed claims. In such situations, employers can terminate the new hire because it appears they falsified the application. These laws were put into place to prevent employers from considering information that is either inaccurate or that shouldn¹t be considered in making a hiring decision. For example, if you were arrested but never convicted, a data base search could reveal the arrest, but the investigator who compiled the information might not delve further into the public records to determine that you were acquitted or the charges were dropped. Reputable employment screening companies always verify negative information obtained from data base searches against the actual public records filed at the courthouse. Your privacy is a top concern. We make sure to keep all of your information secure and safe from any outside attacks. 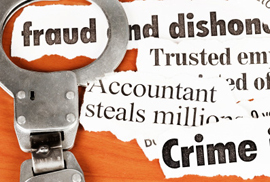 Our system is checked regularly to ensure no identity theft occurs. We safeguard all information entered herein. Be Prepared Survival Supplies does not sell or give out your information to any advertising company, organization, or other group. Be Prepared Survival Supplies provides its customers with resources to resell and distribute our products easily and effectively. However we do have specific guidelines that must be followed. Please review these guidelines below. Be Prepared Survival Supplies reserves the right to suspend or cancel a customer’s access to any or all services provided by Be Prepared Survival Supplies These suspensions or cancellations will come when we feel a violation has be made, or if we decide that the account has been inappropriately used. Be Prepared Survival Supplies reserves the right to also limit quantities and to correct any typographical or pricing errors. Be Prepared Survival Supplies allows its customers to use its product images, descriptions, and price lists in a manner deemed acceptable by Be Prepared Survival Supplies Acceptable use includes downloading for viewing and editing, use on ones website or other online shopping system such as eBay™, yahoo™, etc. It is also acceptable for reproduction of our media/resources in a printed manner such as advertisements, catalogs, brochures, or flyers. If a user purchases similar products from another source, they will not be allowed to use product images, descriptions, etc. for any purpose. All cancelled orders will be subject to a 3.5% charge for the credit card transaction fee which we incur. *All returns unopened are charged a 10% re-stocking fee. We accept no returns after 20 days from the date of order. For large orders of survival kits we may require a lead time. We also may require a lead time for large product orders as well. The above figures represent estimates. If something occurs out of our control which delays the shipment, Be Prepared Survival Supplies will not be held responsible. Shipping times vary depending on the destination of the products. Shipments are sent out via UPS from our location in Ogden, UT 84401. Shipping and Taxes are charged and applied to all orders. We offer free shipping for orders over $300.00. We ask that you pay close attention to the shipping information as you submit each order. UPS charges a $10 correction fee if they have to adjust anything on the shipping label (ie – Street Number, Zip Code, etc.). If this fee is incurred by Be Prepared Survival Supplies, we will pass it onto you unless the error was made on our part. We ship all orders (containing less than 10 Survival Kits) out within 2-7 business days. We often are able to make same day shipments for no additional charge. Sometimes shortages may occur with products. If there are circumstances where we do not have an item to fulfill an order, we will notify the customer or distributor by the next business day. We will either ship the products we do have and then make a second shipment for the missing items as soon as we receive them, or we will wait to ship the entire order together to lower the shipping charges. Please note that it is rare that this will occur but uncontrollable circumstances may cause shortages. *If for some reason we don’t have the exact specific item on our website or in a survival kit, we will use a suitable replacement that meets the specifications described in the original product description. All risk of loss shall pass to Buyer upon delivery to carrier (normally UPS). Buyer shall be responsible for obtaining insurance if desired. Shipments going to Canada will have an additional customs charge not handled by Be Prepared Survival Supplies. It will be the distributor or customer’s responsibility to find out the customs charges for shipments going out of the USA. Be aware that any order going to Canada, Alaska, or Hawaii will have an additional charge of $15 – $75 to cover extra shipping fees that our website is not able to calculate. Your order(s) will not be submitted to the warehouse until the extra shipping costs have been paid for. The shipping costs all depend on where you are located. State tax will be charged in Bellevue,Washington at the going rate of .095%. If an order is placed out of state, the Buyer will be responsible to pay Use Tax according to the state law where the Buyer resides. All distributors will be tax exempt upon faxing a tax exemption paper (seller’s permit) to 1-425-698-1398 or email me at Rj@bepreparedss.com. If your company or organization would like to private label our products please contact us at 1-206-714-4435. We charge very little for labeling and require low minimums. Some items cannot be labeled such as food and water products. Be Prepared Survival Supplies does not allow bots, spyders, or any other type of sniffing/hacking programs to be run on our servers. This activity will be deemed as server abuse results in instant account termination. Attacks against our servers and computer systems are strictly prohibited. This includes and is not limited to the following: IP spoofing, SYN flood attacks, port scanning security hole scanning, etc. Be Prepared Survival Supplies will act strongly against all types of server abuse. Possible actions against server abuse may include but are not limited to the following: warnings, account suspension or termination, and civil or criminal legal action. Actions taken will depend on the seriousness of the abuse or attack, and the number of times the attack was attempted. Children are not eligible to purchase or distribute Be Prepared Survival Supplies’s products or use their services. Minors must have a parent or adult sign and assume responsibility for the ordering and distribution of products. All Affiliates and Distributors must be 18 years old or older. All artwork including and not limited to custom graphics, buttons, animations, and other graphics shown on our website or stored on our web server is copyrighted all rights reserved. Buyer agrees to indemnify and hold Be Prepared Survival Supplies (dba: Be Prepared Investigative Services and Survival Supplies LLC) harmless from all claims, demands, liabilities, and obligations including reasonable attorney fees for injuries and/or death of any person and loss of or damages to property by whosoever owned products sold from direct or indirect purchases. This is in exception to claims, demands, liabilities, or obligations resulting directly from sole negligence of our company. At it’s discretion, Be Prepared Survival Supplies reserves the right to refuse service or discontinue reseller accounts.